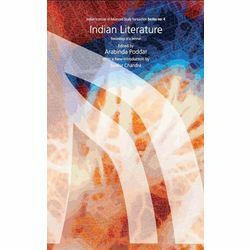 Indian Literature over the centuries in all its aspects was the ambitious theme that the then infant Indian Institute of Advanced Study chose for a fortnight long seminar way back in May 1970. In just two year, the proceedings of the seminar including a summary of the discussion during those two weeks were published by the institute. That volume, having been out of print for year, is being reissued now there is a reason enough to reissue the volume with a new introduction. This gives us a chance to look back and compare the developments and changes in between. We can see how our immediate predecessors saw Indian institute and literature. Those who of us who have survived the everything decades can see what we thought in our youth. We can feel how they, and the then we, felt Indian Institute and literature. Comparing that with our present moods of apprehending the subject, we can appreciate how much we have since been enriched our impoverished. Our individual answer may not produce a consensus. But our perspective will more likely than not, have gained in depth. Number Of Pages : 582 p.